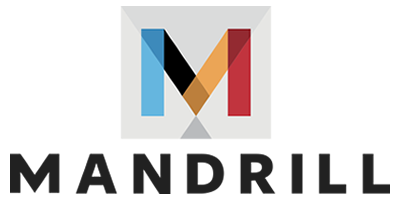 Between March 16 and April 27, 2016, existing Mandrill accounts could be merged with a MailChimp account as part of the changes announced earlier in the year. As of May 11, 2016, any remaining Mandrill accounts that weren't linked to a MailChimp account have been disabled and can no longer be accessed. All Mandrill accounts will be now be created and accessed through MailChimp. Learn More. "Your account cannot be linked at this time"
When trying to merge an existing Mandrill account with a MailChimp account, you may see the error message: "Your account cannot be linked at this time. This may be due to a negative Mandrill balance, account suspension or account closure. Learn More." Your account may be suspended for unusual activity or compliance-related reasons. When logging into your account, you will see a banner at the top of your Dashboard with some additional information. Once these issues have been resolved, you may merge this Mandrill account with a MailChimp account. A negative balance in Mandrill may prevent that account from being merged with a MailChimp account. You can access your Account Balance page to ensure that you have a positive balance before merging accounts. Any outstanding Mandrill balance will be converted to MonkeyRewards Credits after a successful merge, which can be used to purchase blocks of emails within Mandrill. If you're unable to log in to Mandrill with the account credentials, this error message can also indicate that the account has been closed or disabled. A closed or disabled Mandrill account can not be converted to a MailChimp add-on. Mandrill accounts that are accessed and billed through Heroku cannot be merged with a MailChimp account. Instead, users with this type of Mandrill account would need to create a new Mandrill account via MailChimp. For more information, see Important Information for Heroku Users. "A username with that password could not be found"
When prompted to enter your Mandrill username and password, you may see the error message: "A username with that password could not be found. Please make sure you're not using an API key or SMTP password to connect. Learn more"
Ensure that you can log in to your Mandrill account with these credentials. If you're able to log in to Mandrill with that username and password, carefully enter those same credentials into the "Mandrill Username" and "Mandrill Password" fields to authorize the merge. If you're using a password manager to store the login credentials, try temporarily disabling that add-on or extension. If you're still unable to merge accounts, verify that the password being provided isn't a valid API Key. An unrestricted API key may be used as the password to log in to the web interface, but cannot be used to authorize the merge with a MailChimp account. While logged in to Mandrill, you can change your password on the Username and Contact Information page. You may also reset your Mandrill password by using the Forgot Password feature.